It takes a team of people to move one boat. Interested in joining the team? A partnership can take a variety of forms, from a corporate sponsorship to a donation of frequent flyer miles, helps get me where I need to go! Please contact me about joining me on my journey. The international Sailing Academy located in La Cruz, Mexico is a Laser specific training centre with only one sole mission, creating world class Laser sailors. Founder and head coach Vaughn Harrison has developed two Olympic athletes and recently returned from coaching at the Rio 2016 Games. Assistant coach Colin Gowland has been involved in wind sports his entire life and serves as a critical technical eye and questions the process at every point ensuring technique and theories and indisputably correct when they are taught. Max St-Maurice serves as master of operations and marketing, a logistical virtuoso he keeps the wheels turning so there is nothing except sailing for clients to focus on. This is far more than a coaching business, the passion and dedication these three partners pour into their operation creates a heaven for elite sailing growth. Incorporated in 1887, BYC is one of the oldest yacht clubs in Canada. The well-protected harbour accommodates 250 keelboats. Dry sail facilities are provided for dinghies and small keel boats, and secure inside storage for sail boards, kayaks and canoes. In addition to boating, BYC also offers facilities and programs for tennis, youth, social and family activities. The clubhouse features the region's best view of the Ottawa River, fine dining and year round activities. 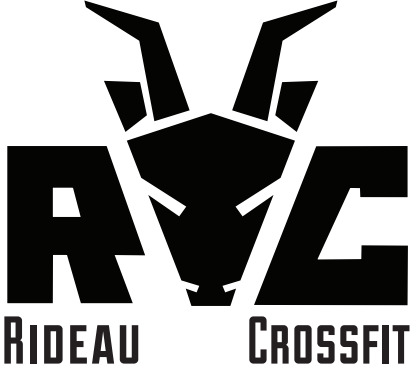 Visit BYC, "your cottage in the city"
Rideau Crossfit is a affiliate gym located in my home town of Ottawa, Ontario. It is owned and operated by Mark Singer who handles my fitness program. Mark was an elite ski racer and also served as a member of the Canadian National Team for paddling. A skilled technical lifter and coach, his passion and dedication for developing athletes is unmatched by anyone. He has put emphasis in understanding the demands of sailing and creates efficient programming to maximise long term fitness growth. Marc Tytus is a digital marketing professional with over ten years experience, hailing from Hamilton, Ontario. Tytus has experience in a range of industries from pharmaceutical to non-profit and small business. The company's focus is on helping organizations succeed online, deriving a measurable return on investment in online marketing. Tytus is also responsible for the recently redesigned International Sailing Academy website and has provided Justin Norton Olympic Sailing with website support.